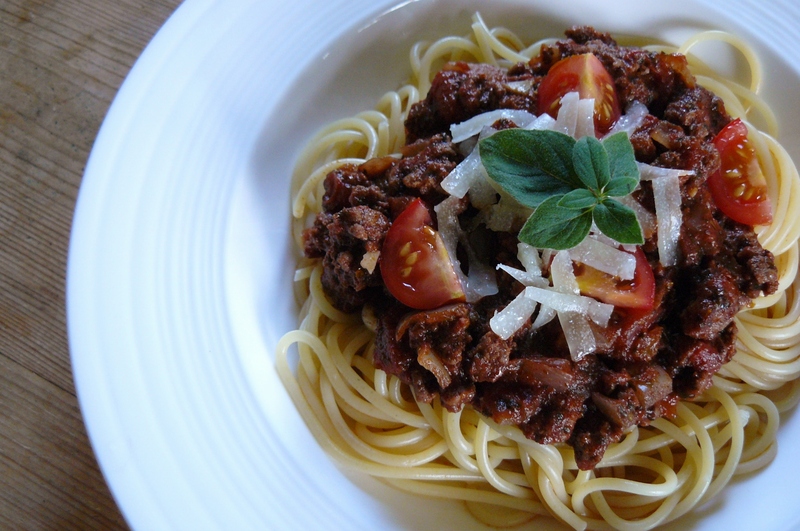 Everybody knows this sauce used with pasta, that originated in Bologna in Italy. This is our most popular mix that can be used with your favourite pasta or to make a delicious lasagne. It is so much nicer and healthier than ready-made sauces and easy to make. We thought it was time for a purely vegetarian mix and when I made this for a friend, she said we should definitely sell this. 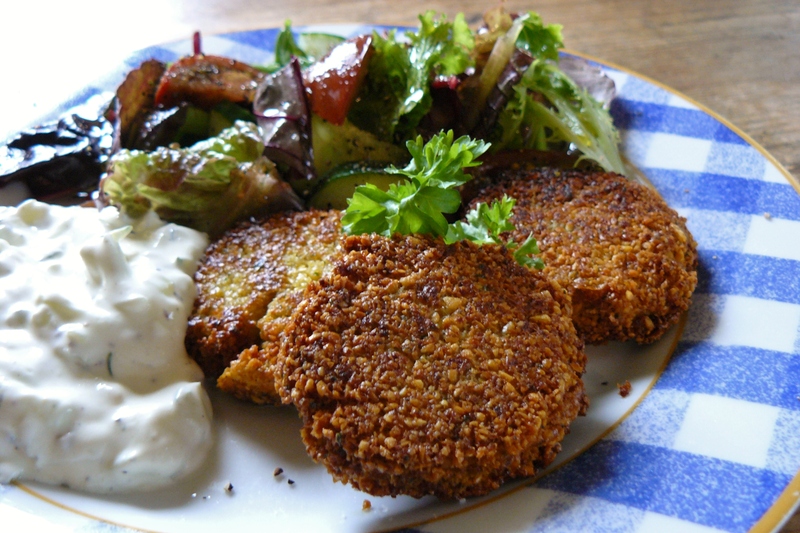 Falafel probably originated in Egypt, they are made from chickpeas or fava beans and were most likely eaten as a meat replacement. Chickpeas are high in protein, carbohydrates and fibre which make them very nutritious and Falafel also taste delicious served with salad or in pita bread. Try them with Tzatziki! 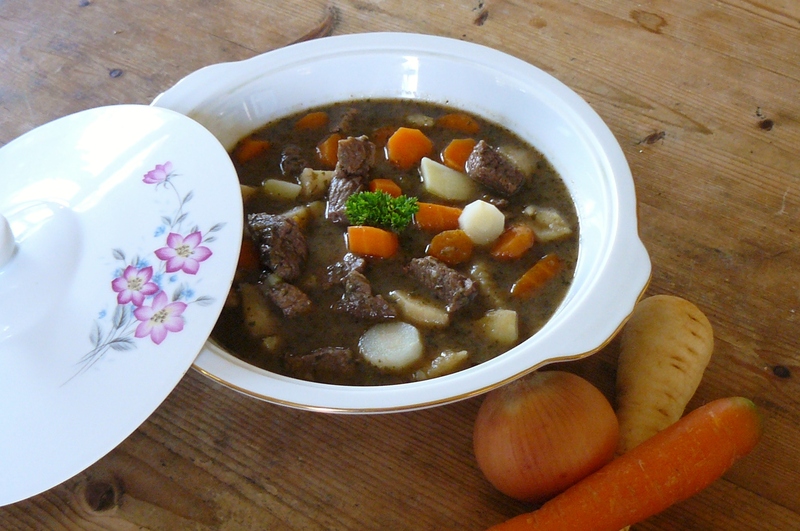 Ireland is famous for its stews, where traditionally they were cooked in cauldrons over open fires. They can contain different meats, root vegetables, potatoes and onions. This one is for a stew made with beef. Another favourite, we were often asked what herbs and spices are in it but of course the exact mixture will remain a secret. 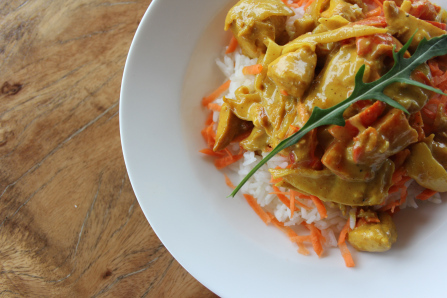 Today a well known Indian Curry dish, it originated in Portugal as ‘meat marinated in wine and garlic’. Our mix combines a lot of healthy and fragrant spices such as cinnamon, turmeric, ginger and chilli. It is not too hot and can be used with chicken, lamb or simply with vegetables to make a vegetarian dish. 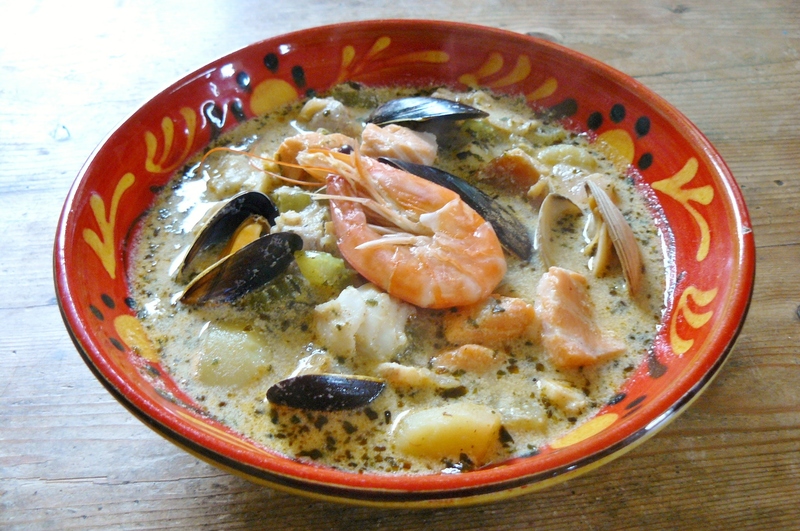 Chowder is a thick soup made with seafood, potatoes, onion and milk or cream. 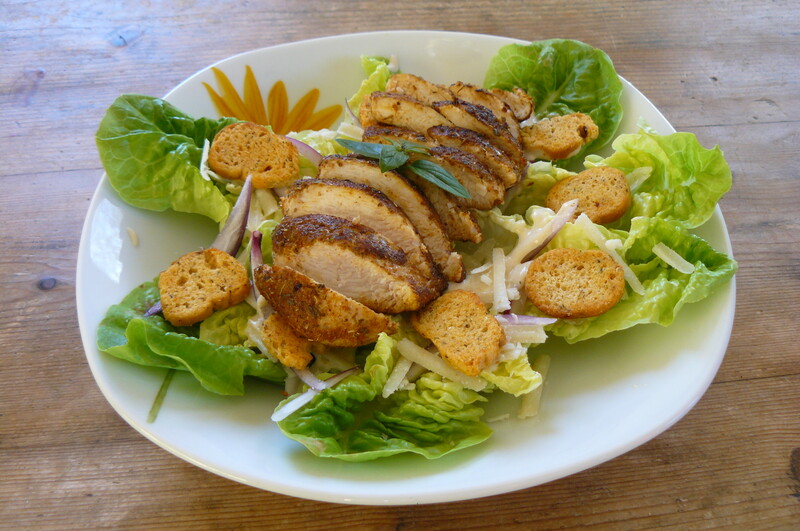 It is very filling and nutritious and a great way to start eating fish and seafood. Our mix adds a lovely flavour to it and can also be used to flavour fish pies. 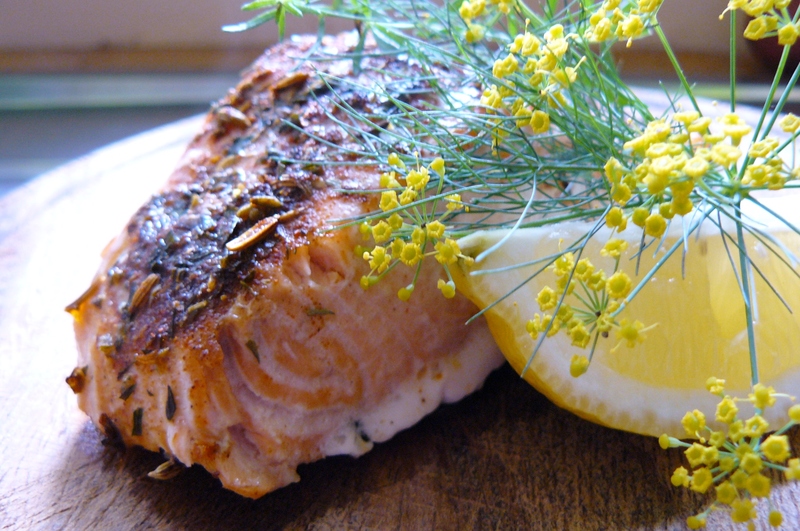 Try this mix by sprinkling some over your fillets of salmon to spice them up. It is lovely when baked in tinfoil in the oven with some salt and a bit of olive oil poured over. A family favourite! Cajun Cuisine has its roots in Louisiana where French Canadians had to resettle after being forced out of Canada by the British. There are probably many different versions of Cajun spice mixes as there are cooks. Try ours sprinkled over chicken or fish or mixed with oil to make a marinade for BBQ meats such as pork chops. 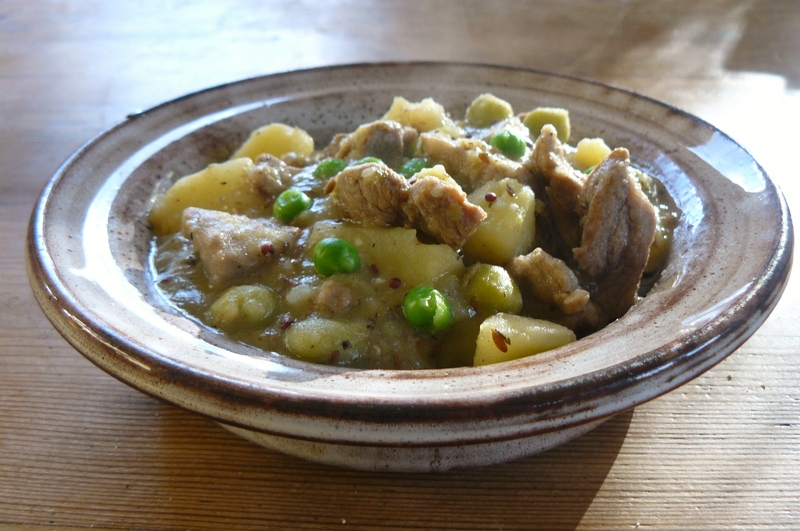 Another famous Irish stew but with a more oriental spice mix that gives it its unique flavour. 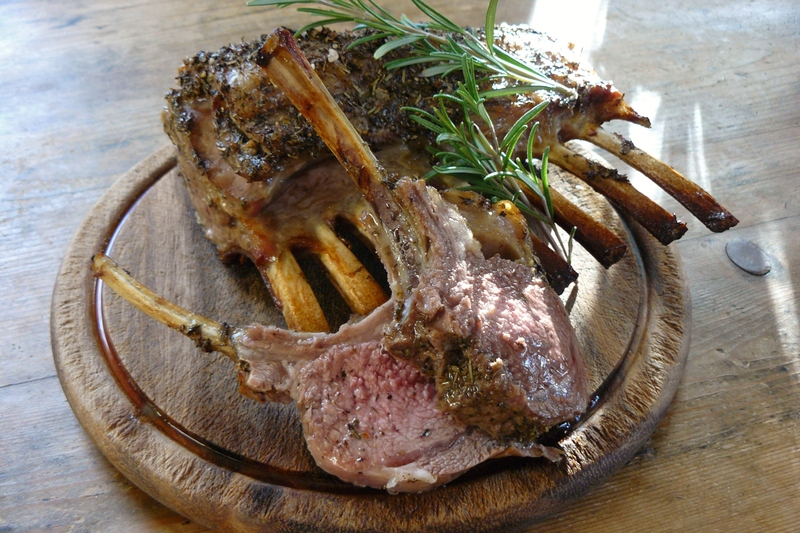 Traditionally it was made with mutton because young sheep were too valuable to slaughter. There is nothing nicer than to come home to a big pot of stew on a cold day, especially when it is made with lamb not mutton. Another popular Irish Sunday roast. 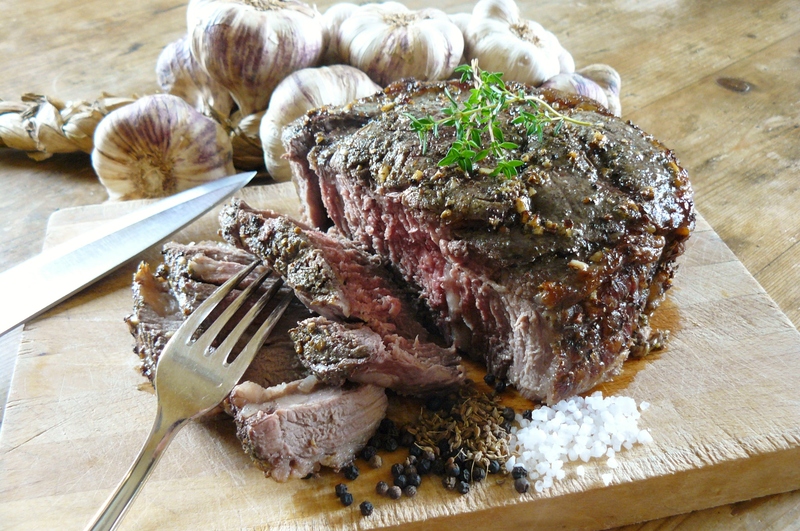 Add our herb and spice mix to give your roast a delicious herb crust. It can also be used as a marinade for grilled lamb chops. Cottage Pie and later Shepherd’s Pie is known since the introduction of the potato in Europe as an affordable crop for everyone. It was a way of using left over meats and turning it into another meal. After a lot of experimenting we finally came up with this herb and spice mix, approved by our daughters, nieces and nephews! 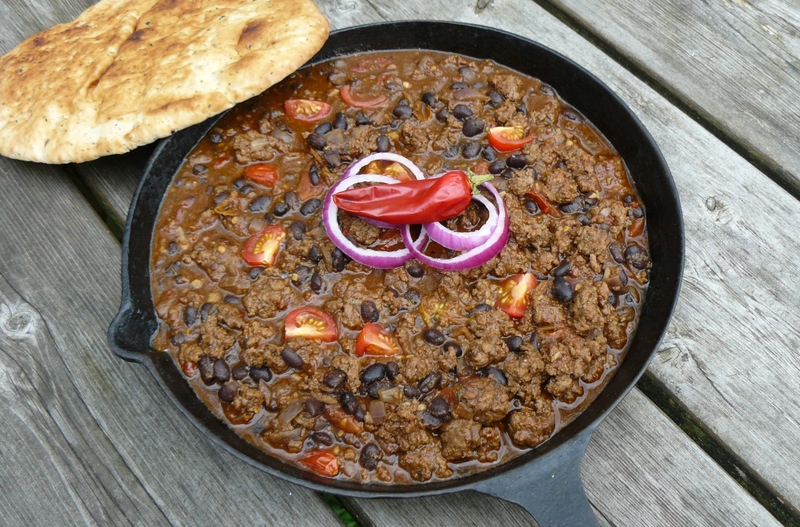 You can make it with any meat of your choice or with lentils or to turn it into a vegetarian dish. 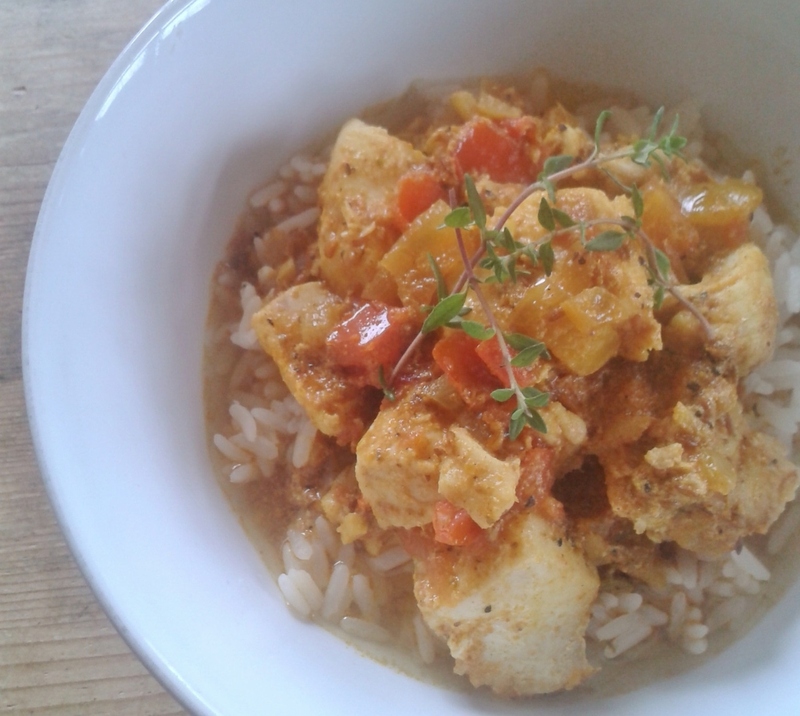 This is our newest mix for a Seafood Curry, inspired by a spice blend of the French islands in the Indian Ocean called Massale. It is great with fresh fish like haddock, ling or if you are lucky to live in a part of the world where you can get Snapper. You can also try it with a bit of coconut milk or Samphire (Sea Asparagus), soak and rinse well with cold water before adding it for the last minutes of cooking.